Bootstrap Films is primarily engaged in the development, and ultimately production of different genre material at different budget levels for the national and international market place, using local and international talent in writing and creative areas. Bootstrap Films provides small slate and is exploring finance for three of its films using a fund. We are looking at different ways to finance film production in Ireland and anchoring these with the Tax Incentives available here, says John Phelan, Bootstrap Films, Managing Director. The Irish Government has announced that the Tax Incentives for Filming in Ireland are being extended to 2024. Bootstrap Films is delighted to be associated with the BBC TV Drama shooting in Bournemouth/Southampton. More to follow. BOOTSTRAP FILMS welcomes the Irish Governments extension of FILM SUPPORT INCENTIVES to 2024. "Its a clear message coming from the Irish Film Industry to the International World of TV, Film and Animation" say John Phelan, of Bootstrap Films, which provides a service from script to screen including the Film Support Incentives. Bootstrap Films is in development with Matt Derham on a real life drama entitled ' LOVE ALICE' about a young 17 year old girl who rediscovers LIFE after clinical depression. It's a positive and endearing story of SURVIVAL. Ardmore Studios, Co. Wicklow sold to Olcott Entertainment Ltd.
We are always on the look out from writer talent. If you are a screenplay writer with an ndependent film production perspective email us and tell us what you've done. Our New Development Slate includes some very diverse, original material orinigated from our in-house development team. Bootstrap Films is pleased to announce that a new colour version of its feature film noir, SPIDERS TRAP, with additional material will release later this year as, The Directors Cut 2017. Bootstrap Films has just inked a digital distribution deal for streaming on Amazon, iTunes, Google and VuDu. for its film noir feature film, SPIDERS TRAP. "We are very excited about this deal, its a sign of the quality of our independent product ". The Film will be available in late February for streaming. SPIDERS TRAP, the film noir from producer John Phelan and writer/director Alan Walsh continues its success on the festival circuit by recently being selected for the Singapore, World International Film Festival in January 2016. 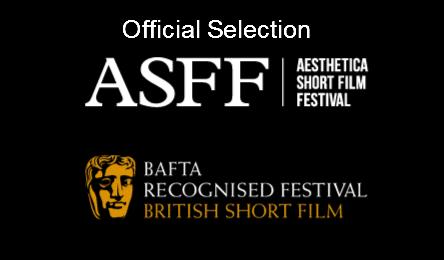 "WHAT IF", from Bootstrap Films which was part funded by the Irish Film Board was nominated and in competition at the BAFTA approved Aesthetica Short Film Festival, in beautiful York, England. Produced by John Phelan ( Bootstrap Films ) and written and directed by Alan Walsh. Starring Simon Delaney, it played to an audience of over 700 in York opera house on Fri. Nov 5th. John Phelan said, "We were thrilled with the audience response and it has opened to door to a possible feature film "
Our Film Noir, SPIDERS TRAP, picked up the award for Best Independent Feature Film, at the Underground Cinematic Film Festival at the award ceremony on the 13th September'15. Fantastic Evening. 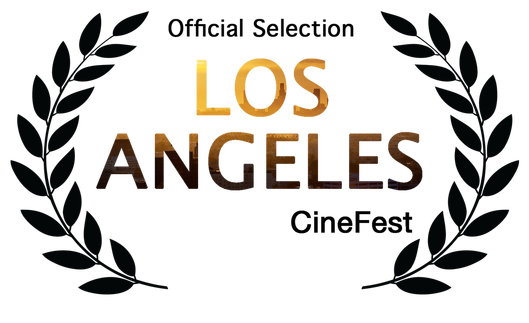 Bootstrap Films, SPIDERS TRAP, written and directed by Alan Walsh, has been selected for 2 more great festivals. 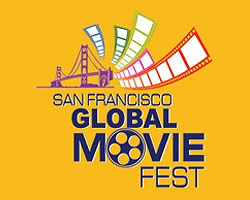 This week it was selected for The San Francisco Global Movie Fest in August and The Underground Film Festival 2015 in September. 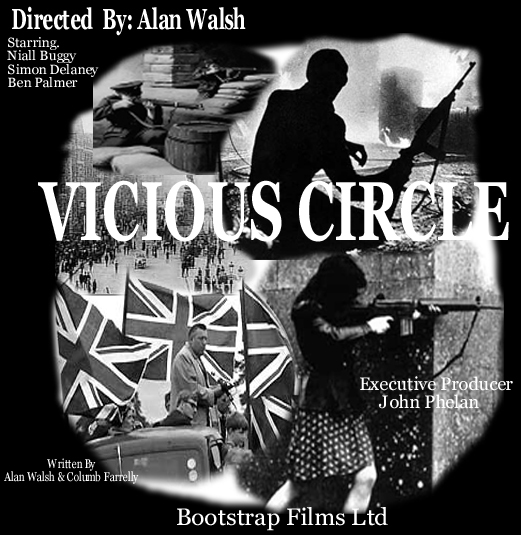 Bootstrap Films has sold a number of transmissions of its short film, "VICIOUS CIRCLE" to TG4. Written and directed by Alan Walsh. Set in 1916 during Irelands struggle for freedom, it is paralleled with today’s attempts to bring peace in Northern Ireland. Shot in black and white using original footage, it is a thought-provoking story about what happens when people won’t trust each other, resulting in a continuing circle of unnecessary violence. Bootstrap Films will attend The Cannes Film Festival from the 17-21st May. We are seeking distribution for our film noir, SPIDERS TRAP, and interest in our next project, WHAT IF. This a a feature version of our award winning short, WHAT IF. 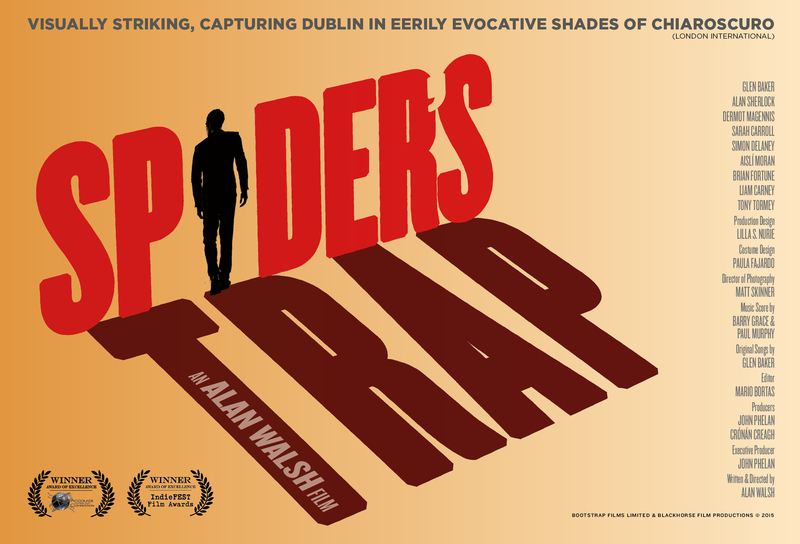 Check out the Q & A with Alan Walsh, writer/director of our feature film, SPIDERS TRAP. Irish Film and Television Network. Bootstrap Films is pleased to announce that the feature film, SPIDERS TRAP has been selected for the Indiefest Film Awards. Spiders Trap was produced by John Phelan for Bootstrap Films, written and directed by Alan Walsh. Bootstrap Films returns to the development of its WW2 Film project " NO TEARS IN IRELAND ". 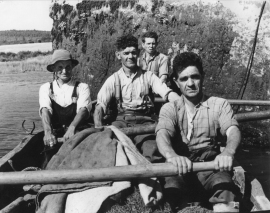 We have received some funding support from The French and look forward to continuing progress on this beautiful story about 2 young war orphans from France who end up in a fishing village in Ireland during the war. Fantastic launch of our new feature film "SPIDERS TRAP" last saturday at The Lighthouse Cinema and a great turn out. Check out the trailer below. You can also see whats happening by tweeting us @spiderstrapfilm or on facebook.com/spiderstrapfilm. Bootstrap Films and Blackhorse Film Production are pleased to announce that the official launch of their new film "SPIDERS TRAP" will take place at 11.45am on the 9th August in the LIGHTHOUSE CINEMA. A press release will be issued over the coming days. Bootstrap Films will attend the Cannes Film Festival with a view to seeking sales/distribution for its latest feature film " SPIDERS TRAP ". 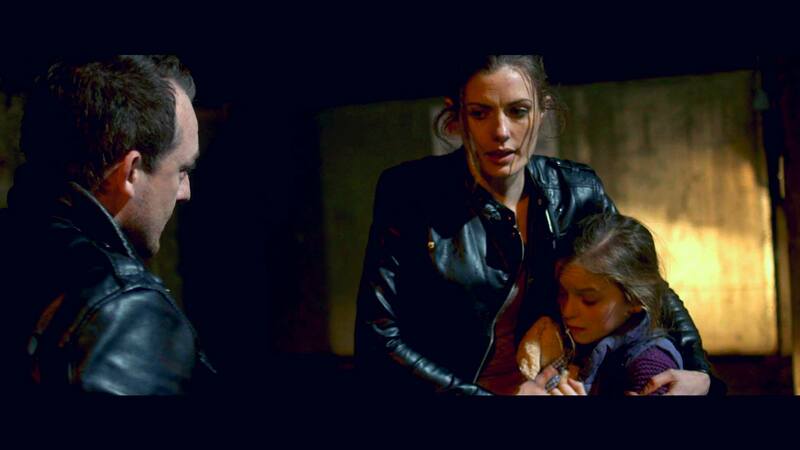 Made by Blackhorse Film Productions and Bootstrap Films, it's a dark and intense crime drama with a bit of romance. Written and Directed by Alan Walsh, Produced by John Phelan. 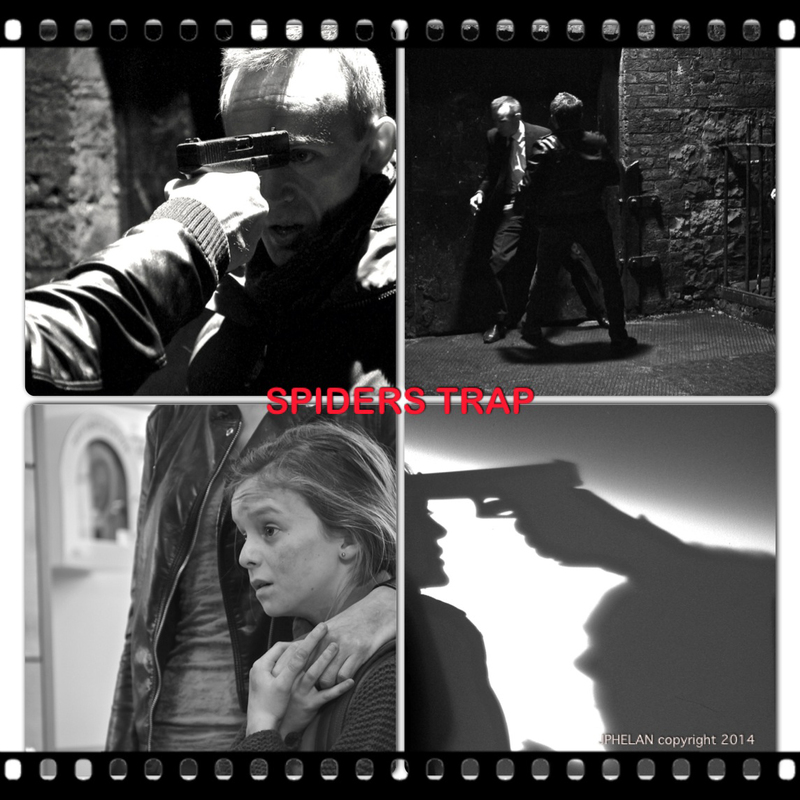 Terrific response to our Trailer1 for feature film "SPIDERS TRAP ". We put the trailer up on the facebook page and it got thousands of hits. 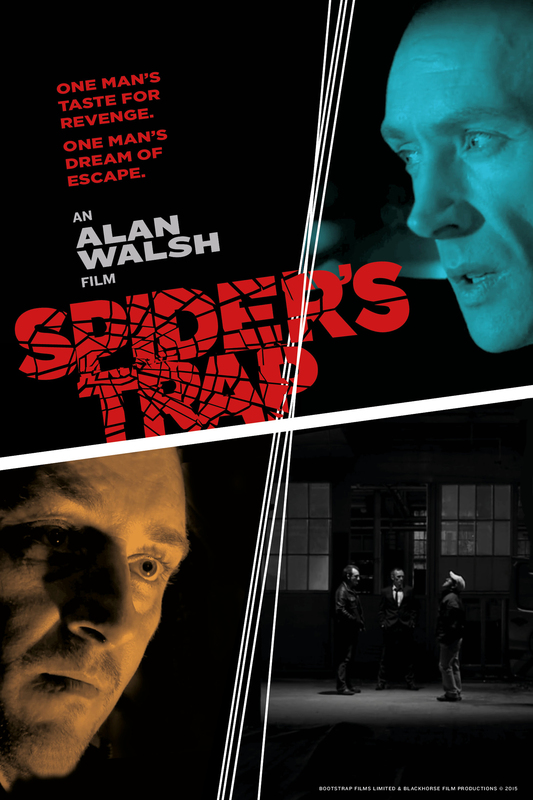 Bootstrap Films is pleased to announce that shooting on the Alan Walsh feature "SPIDERS TRAP " finished on schedule. Written and directed by Alan Walsh for Blackhorse Film Productions and Bootstrap Films Ltd. Exec. Producer, John Phelan said, " We had a great shoot with a committed crew and we would like to thank them for all their hard work" We will take a trailer to the Cannes Film Festival with a view to getting distribution. Bootstrap Films announced today that its long held ambition to make a film based on the book, NO TEARS IN IRELAND by Sylvia Couturíe, is back in development. As we look candidly at WW1, there is a renewed interest in good stories. This one involving 2 young french girls is very special. Bootstrap Films ( Corporate Video ) completes work on testimonials and informorial for Aqua -Sol Engineering Ltd. This is for an international, irish made water filtration product. We wish them well. Bootstrap Films diversifies into Video Content for New Company WebSites. We see this as another revenue stream. It is a government supported initiative for New Company startups. " It will help new companys' to establish themselves on the web, and we support that initiative,"
says John Phelan, MD of Bootstrap Films. Bootstrap Films Award Winning Short Comedy "WHAT-IF" has been selected and will be screened on Thursday 22nd /Friday 23rd August during this years Charlie Chaplin Film Festival Waterville,Co.Kerry,Ireland. Bootstrap Films confirms it will develop a feature version of its award winning short film ' WHAT IF ' at the 2013 Galway Film Fleadh. Bootstrap Films has a number of high-concept projects for the Cannes Film Festival. "We have some great projects, said Producer, John Phelan. We are very excited about our mini-series, based on the escape of 6 Fenion Prisoners from Fremantle Prison in Perth in 1876. One of great epic escapes of all time. THE CATALPA. Check out our film projects, especially our feature, CELLULOID HERO. Contact in Cannes. John on + 353 87 2568872. 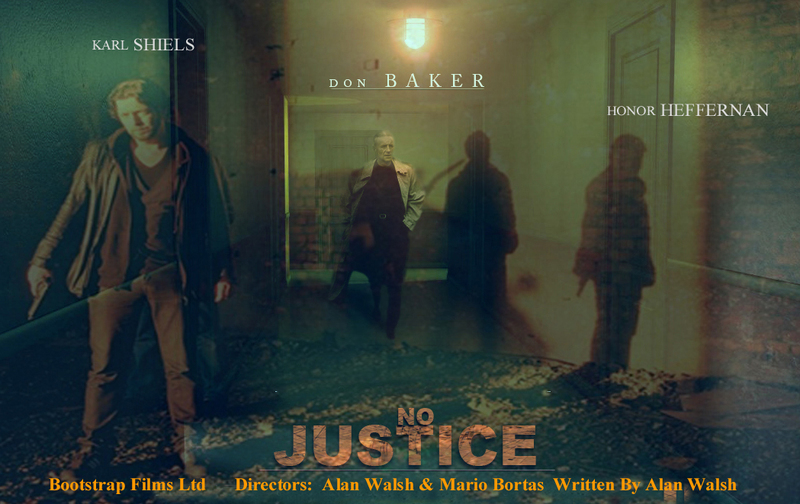 Bootstrap Films is pleased to announce that its short film " NO JUSTICE " will be screened at the 2013 Chicago Irish Film Festival. The festival committee said, Everyone on the programming committee was on the edge of their seats, great story line w/ twists and turns, excellent cinematography and editing, so well done indeed. The film was directed by Alan Walsh and Mario Bortas and produced by John Phelan. A TEASER for our feature film " HARMONICA BLUES " will be shot later this month. Starring Simon Delaney (The Good Wife )and Karl Shiels. Harmonica Blues is a rags to riches story about a young man trying to leave his criminal past behind. Written and Directed by Alan Walsh. Featuring the music of legendary Harmonica player "Don Baker ". Bootstrap Films to commission treatment for television series on the escape of 6 Fenian Prisoners from Freemantle Prison, Australia in 1876. A coproduction between Ireland, Australia and the US.. It’s a tale of hardship, bravery, determination and incredible self sacrifice. Despite spies, informers, the might of the British Empire and the power of mother nature, the plan succeeds. Resulting in one of the first parades down Broadway and cementing the bond between American and Irish nationalism that would ultimately inspire financial and moral support for Irish independence.